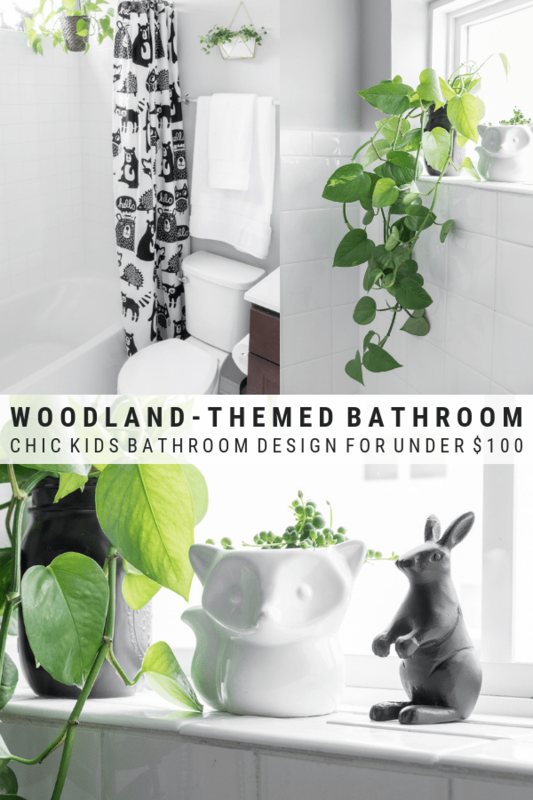 It’s reveal day for my chic woodland-themed kids bathroom that I completed for under $100. 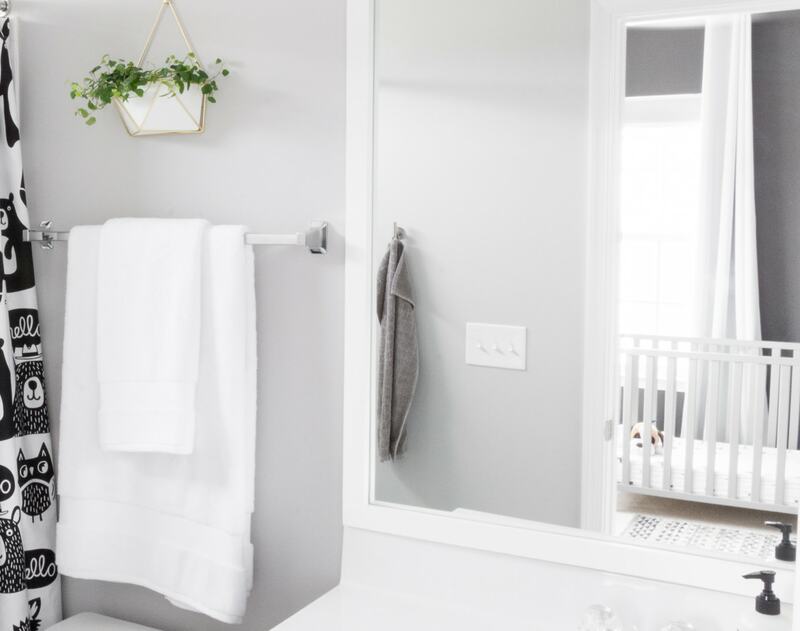 If you’re looking for kids bathroom decor inspiration, you’re in the right place! 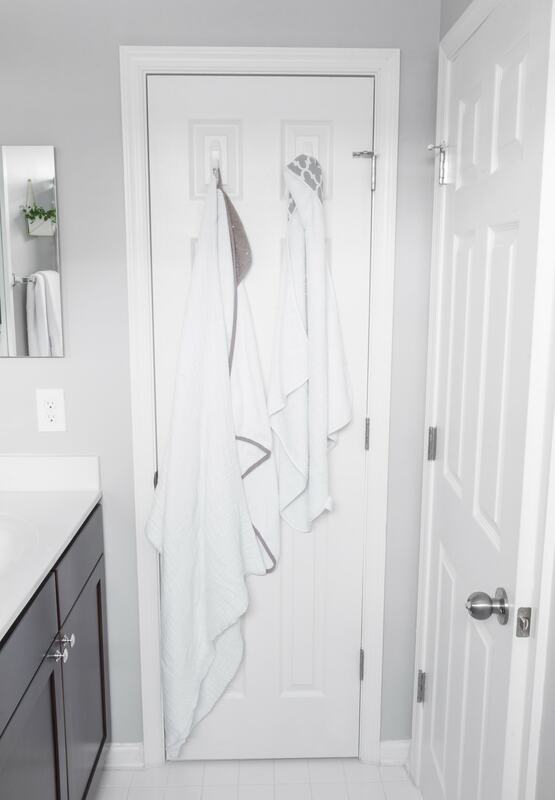 It’s time for $100 Room Challenge reveal day! 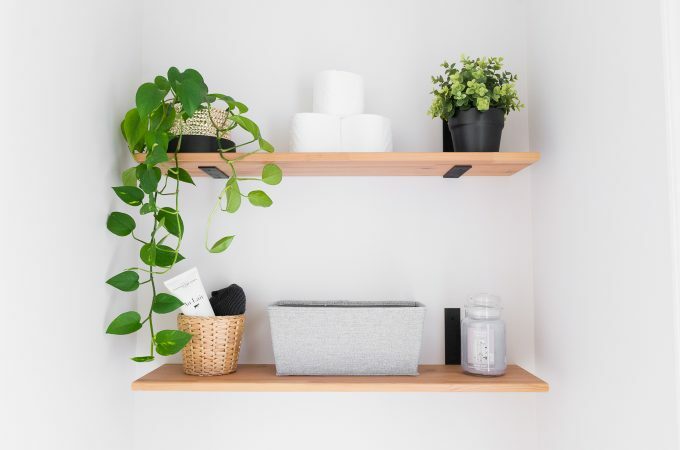 (The $100 Room Challenge is hosted by my friend Erin or Lemons, Lavender, and Laundry, and this time around, I’m working on our second bathroom.) 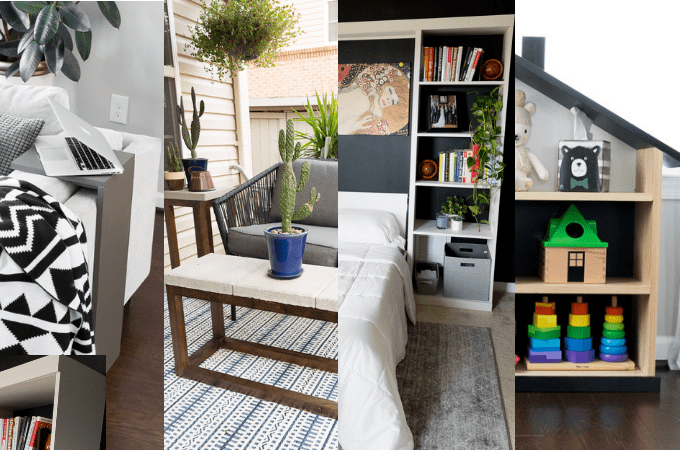 The goal of the challenge is to make over a room using $100 or less. Here’s a reminder of the before shots. 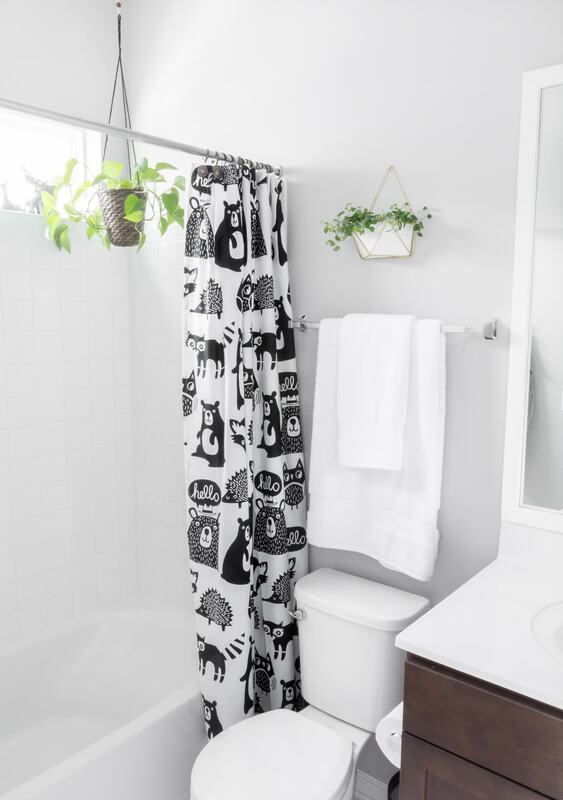 My goal going in was a chic woodland-themed kids bathroom for my baby girl, all for under $100. So fun! That shower curtain is fabulous!! Of course I adore all the plants. Every bathroom should have some. Even though it’s for the kids I think the stark contrast with the pop of green is really pretty. Pinning. 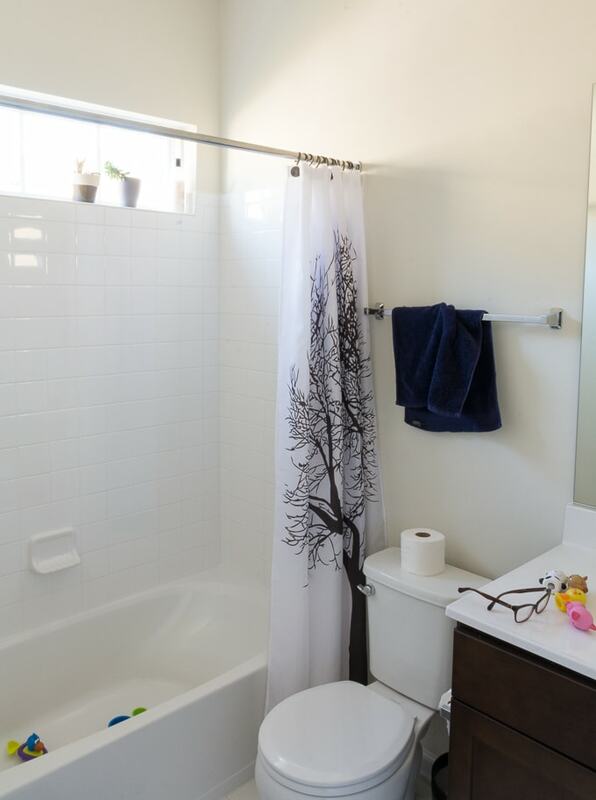 DYING over that shower curtain. 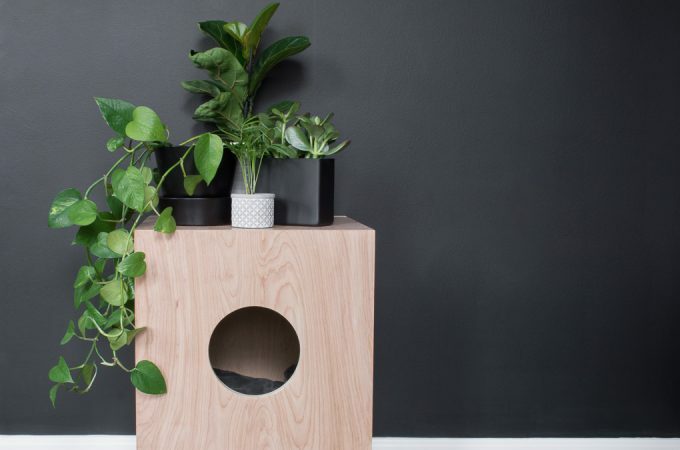 Literally the perfect mix of cute and still modern. Love it all, per the usual. Incredible job Britt! I know! I’m discovering how adorable (and cheap) Target’s kids line is!! so adorable! 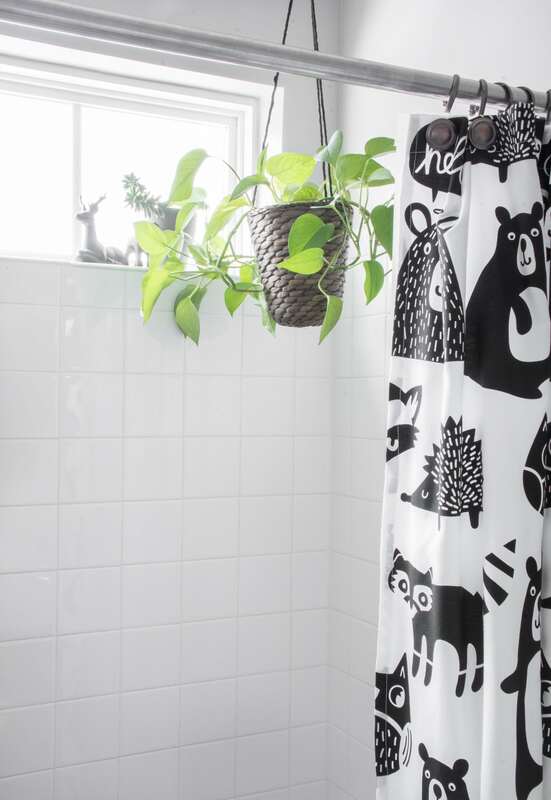 i came so close to getting that shower curtain for emmy & wilder’s bathroom- it’s so cute! This is so cute! I love that it’s fun but not overly busy or overwhelming. 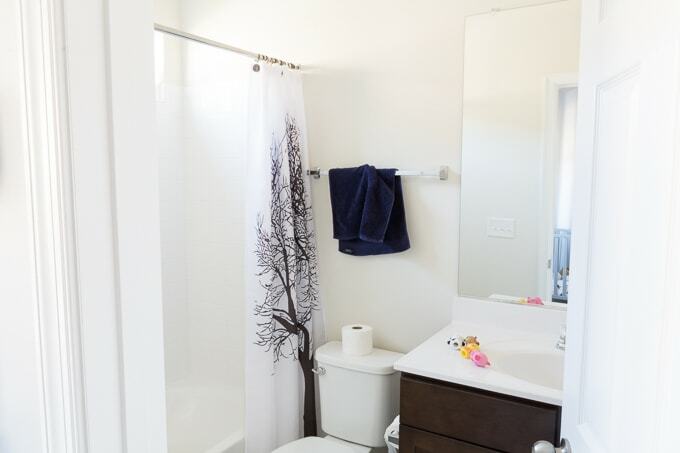 Love that shower curtain and the little woodland figurines in the windowsill. The plants are such a nice touch. 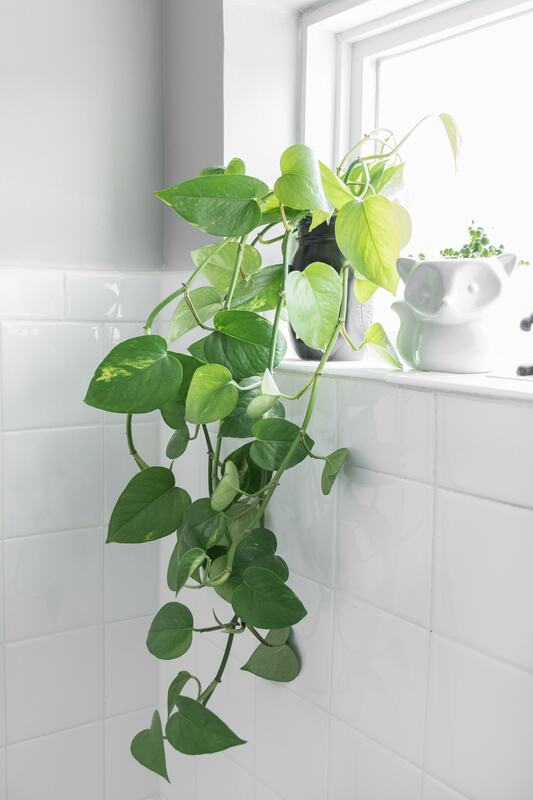 You have inspired me to rethink our master bath to include hanging plants. Great job! I love your choice of shower curtain. 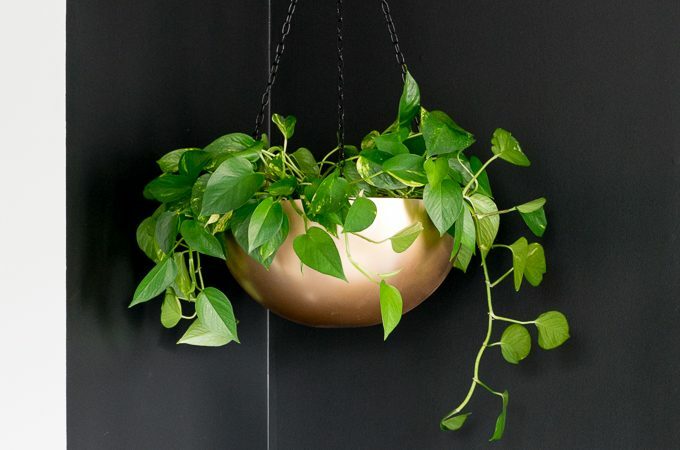 All of the greenery makes everything seem fresh and natural. Beautiful as always, Brittany! Wish my bathroom looked like that haha. 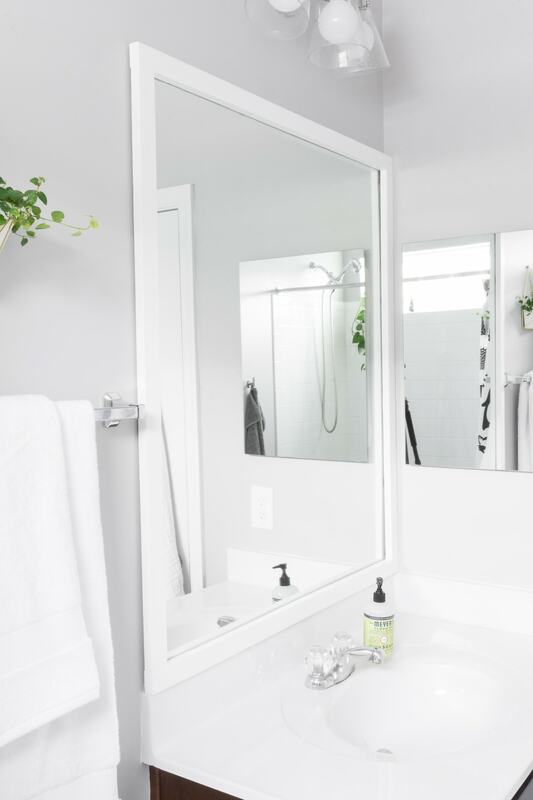 This is such a sweet bathroom. 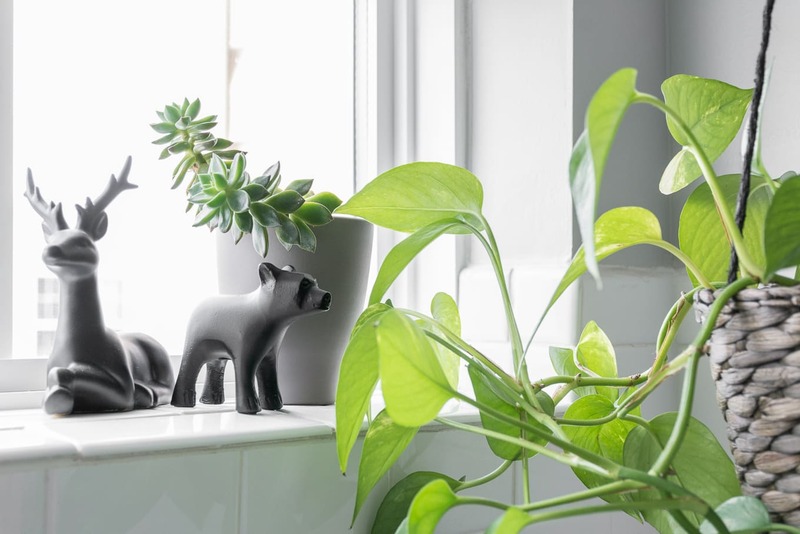 I adore the animals and the pops of green with the plants. Great job! I SO MUCH love all the greenery in here! and the shower curtain is SO CUTE! I love how light and bright this space is! 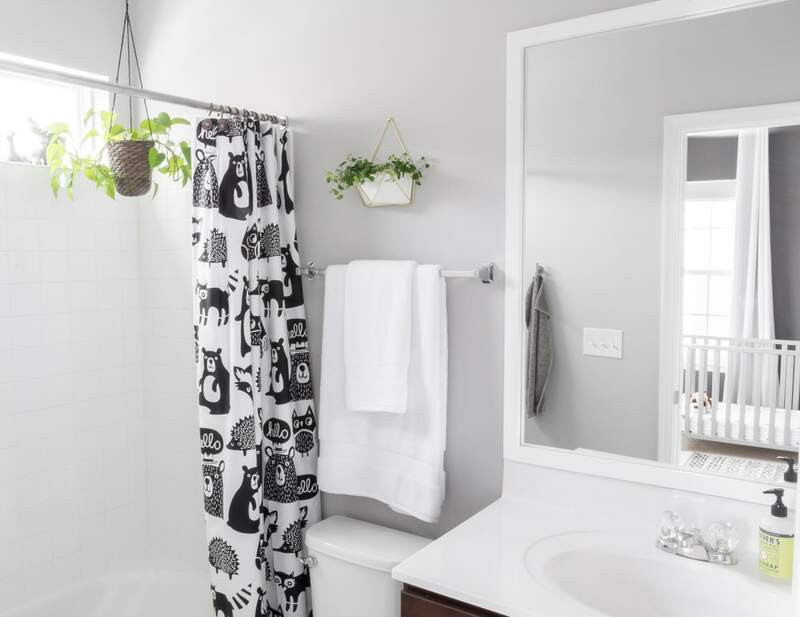 That shower curtain is so chic, yet cute! Great job! This turned out so cute! 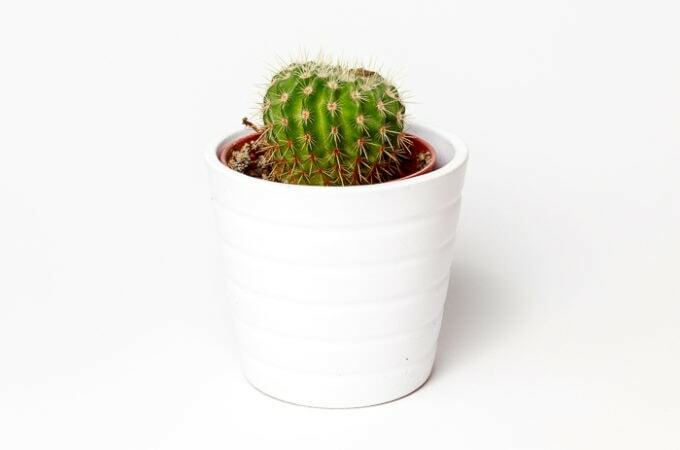 I love all of the animal-themed items that you used that are so sophisticated! 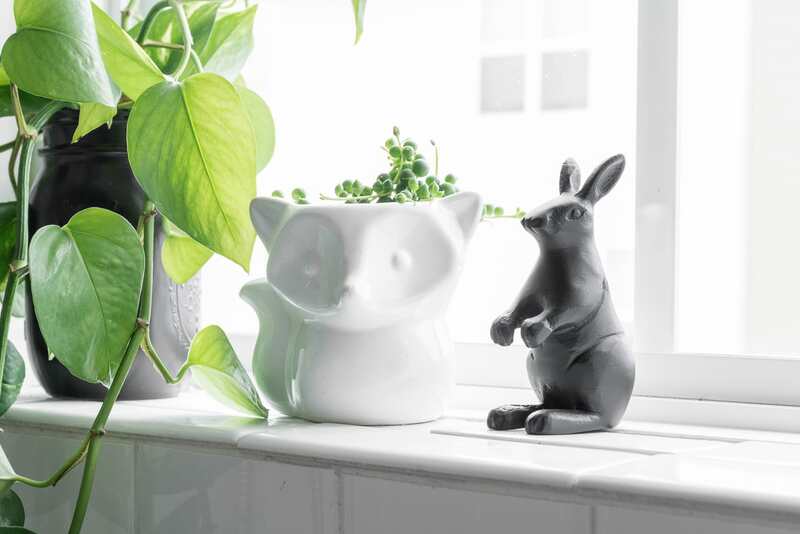 That Fox planter is so cute! Congrats on a great space! AHHHH!!!! I love this bathroom! First off, it’s says,”This is a kids’ bathroom.”, without screaming that it’s a kids’ bathroom; which I love. 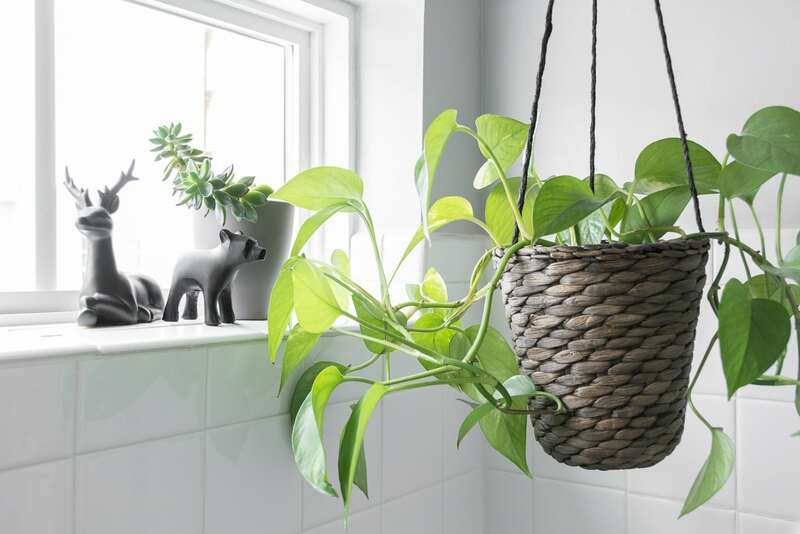 Also, I now want plants in my bathroom (only I can’t keep them alive, so I need some faux ones). I am SO glad you joined this round (even though I know you hate me for “making” you join 🙂 ). You always create incredible spaces! 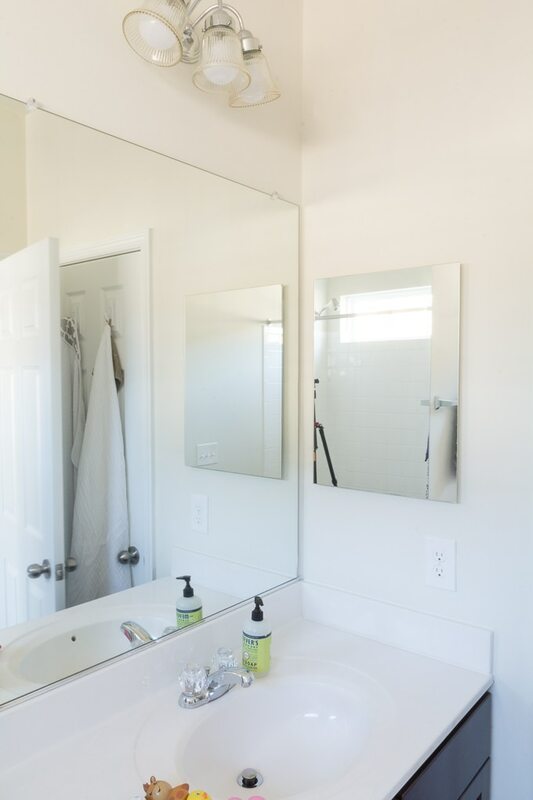 Wow, this bathroom is so bright and fresh. The shower curtains and little figurines are my favorites! Such a darling space! 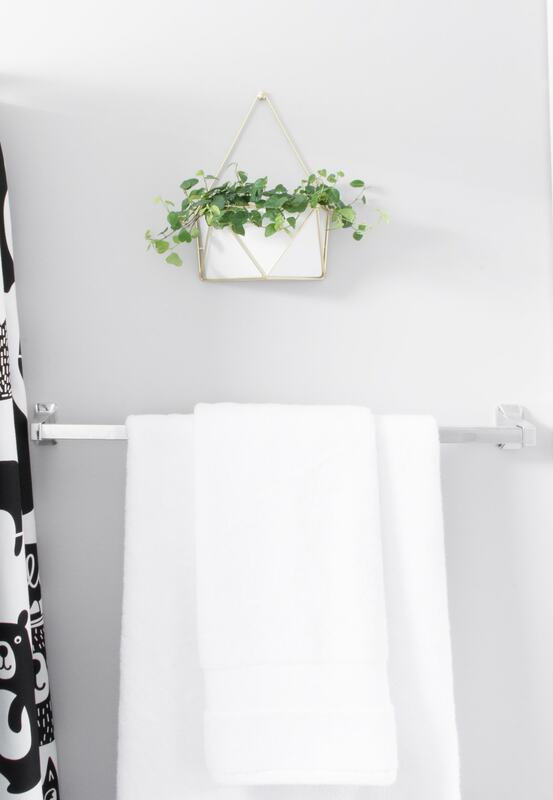 I love the shower curtain and I live plants just make it!